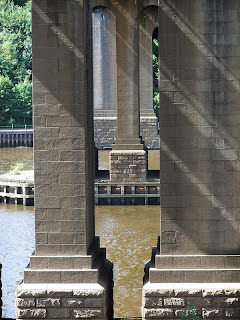 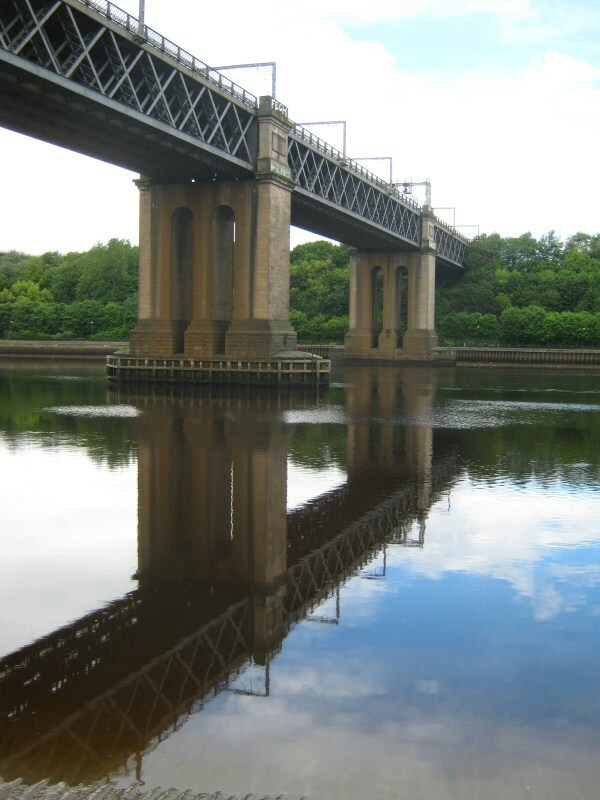 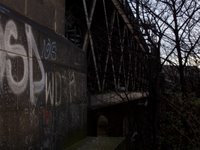 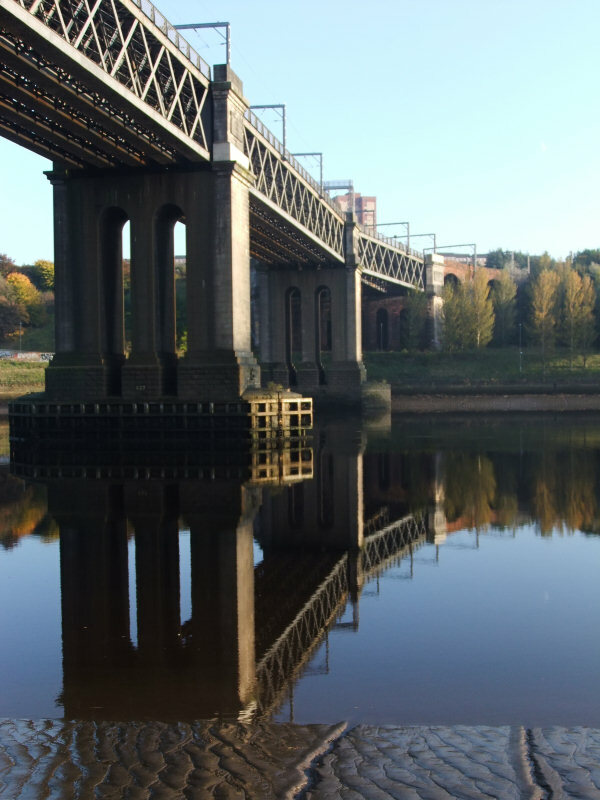 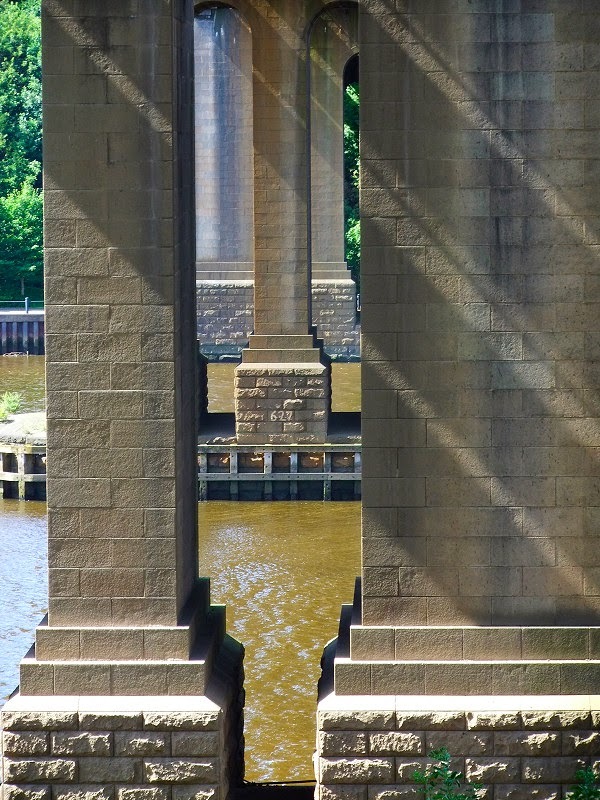 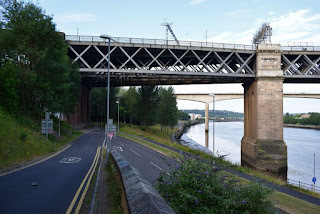 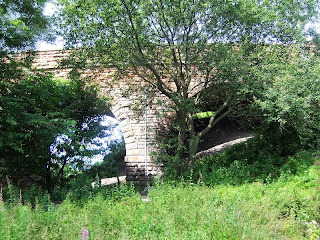 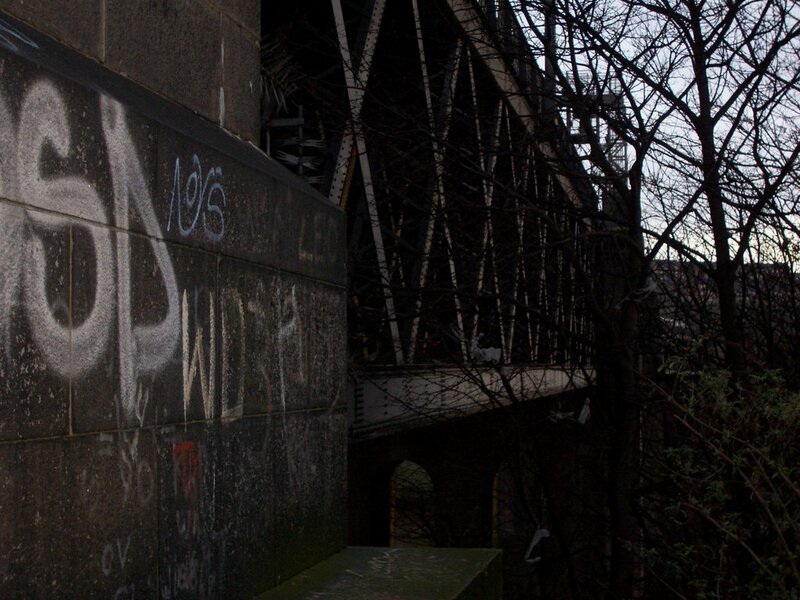 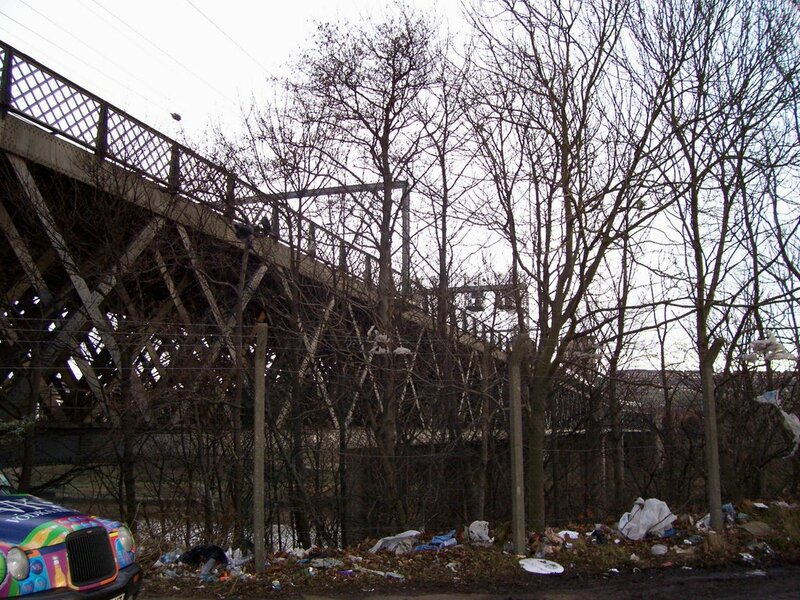 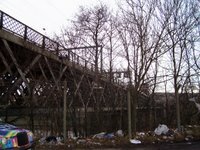 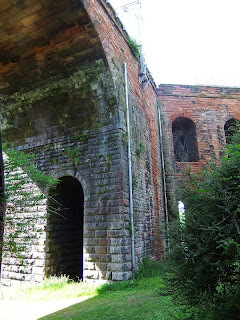 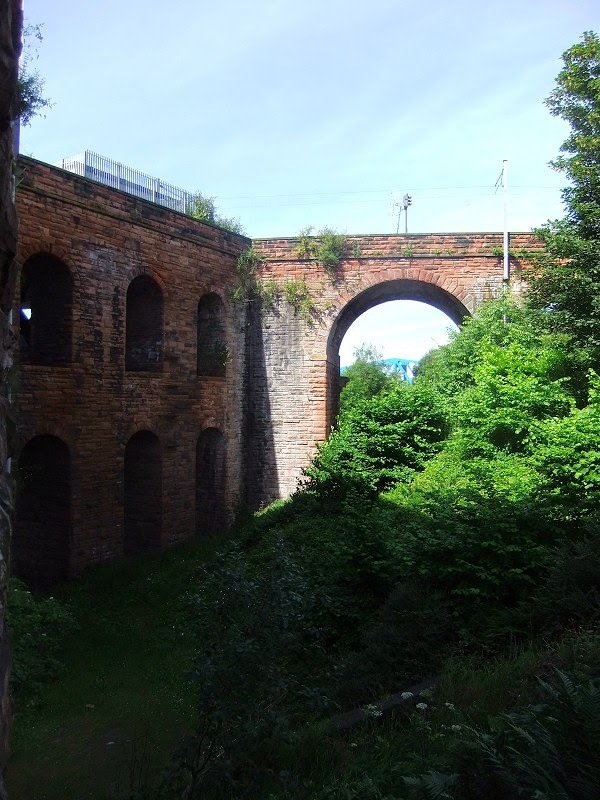 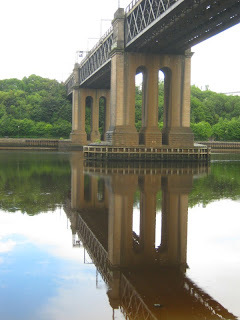 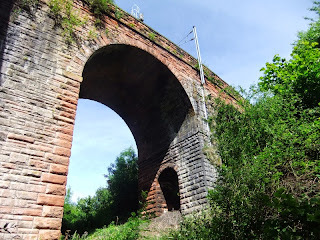 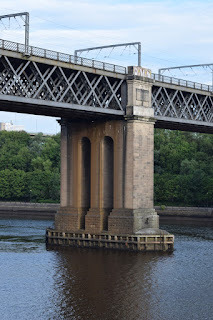 The King Edward VII Bridge was designed and engineered by Charles A. Harrison, the Chief Civil Engineer of the North Eastern Railway, and built by the Cleveland Bridge & Engineering Company in Darlington. 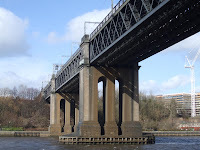 The bridge is rather inelegant but functional, consisting of four lattice steel spans resting on concrete piers. 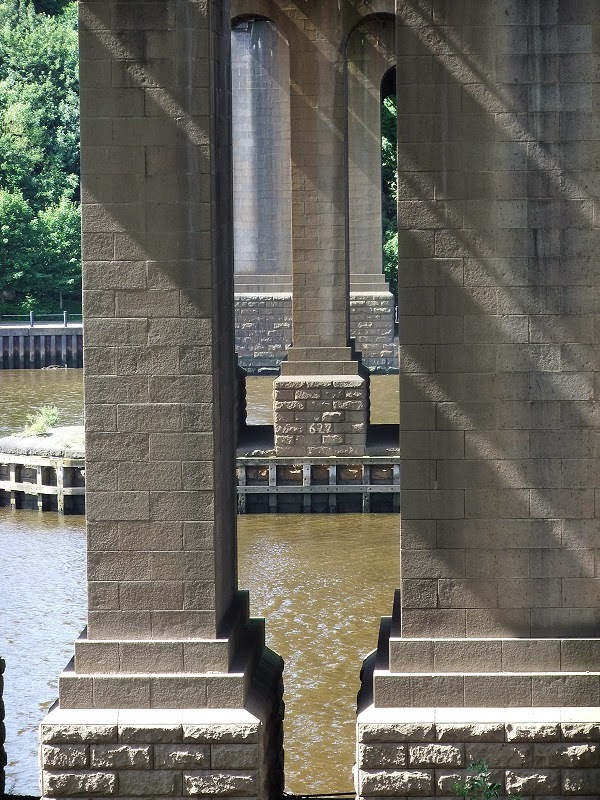 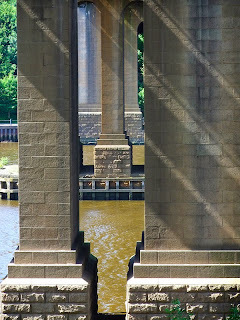 The total length of the bridge is 1,150 feet (350 m) and 112 ft (34 m) above high water mark. 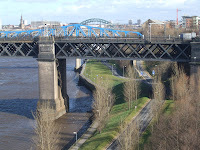 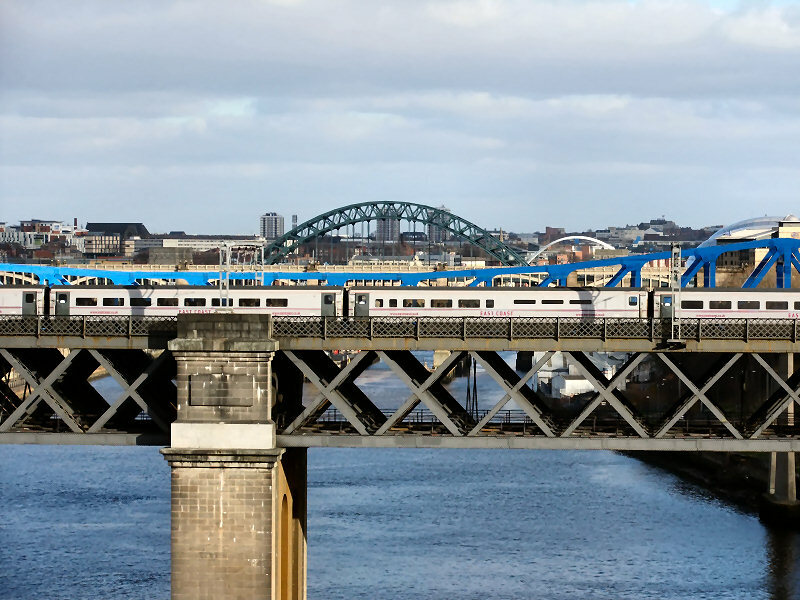 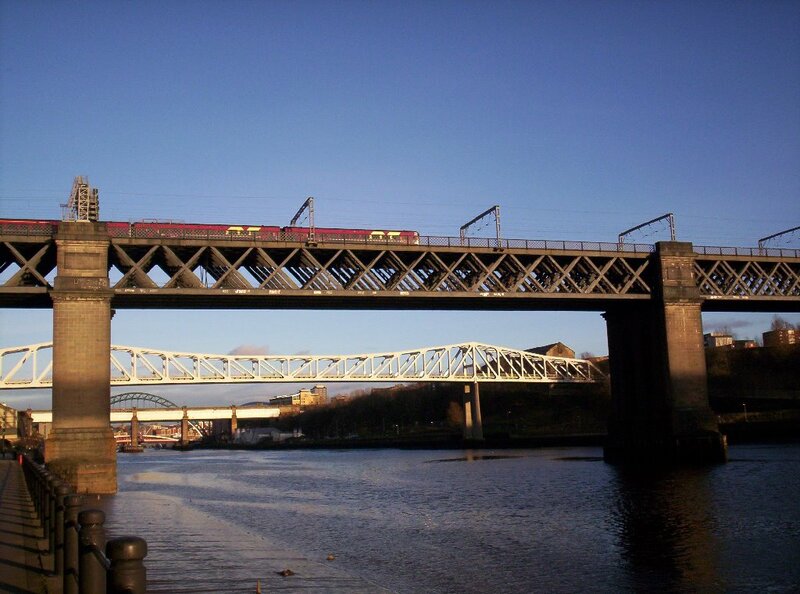 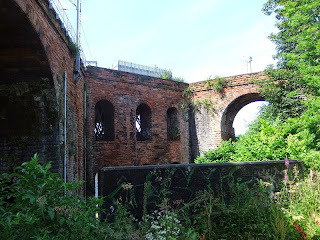 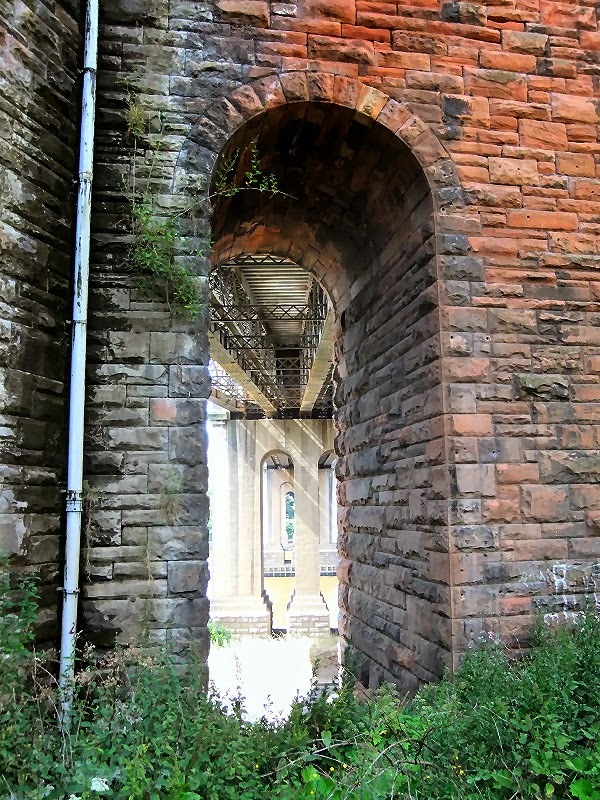 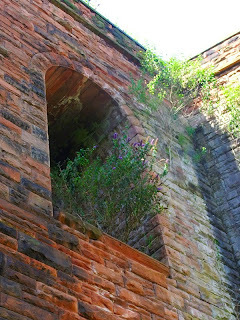 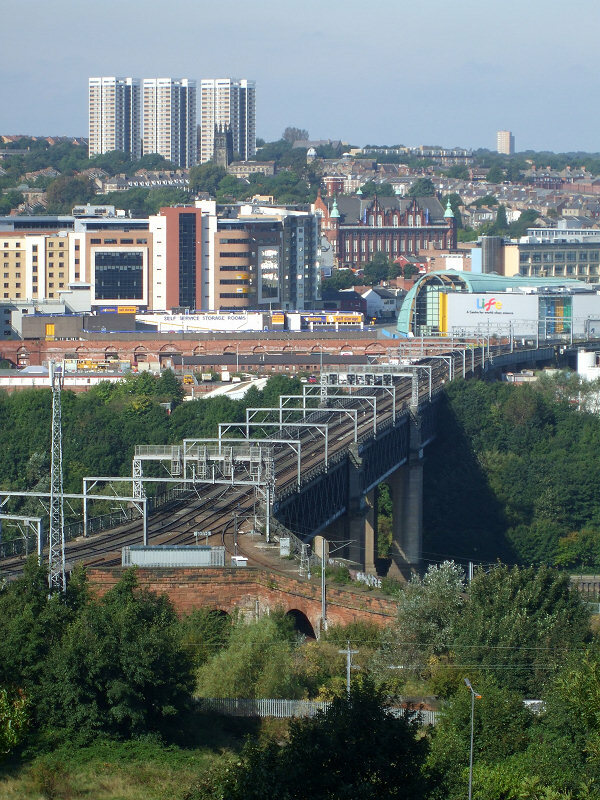 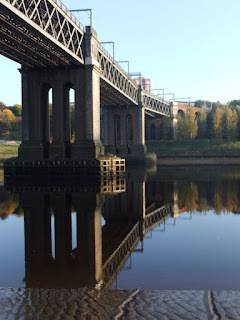 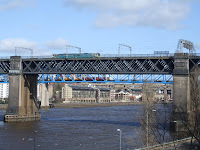 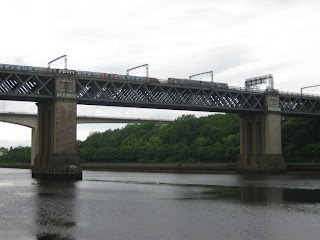 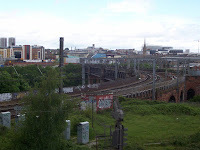 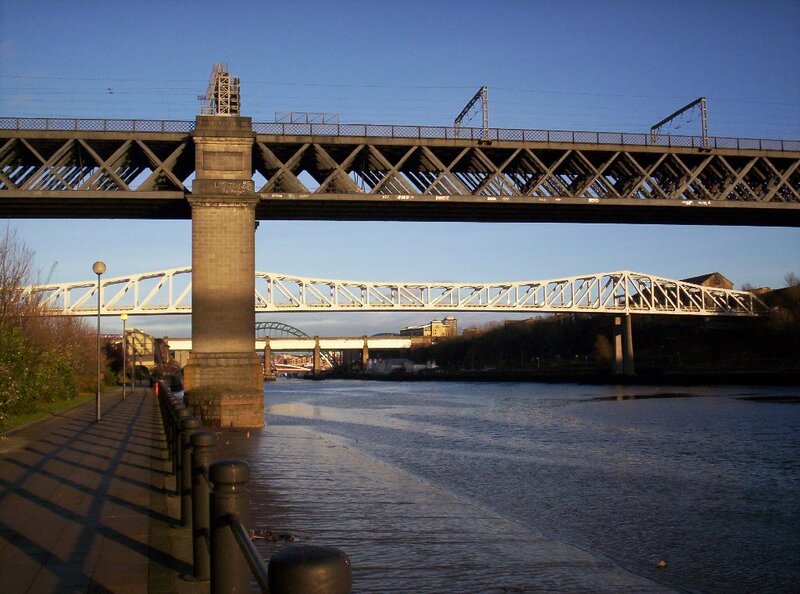 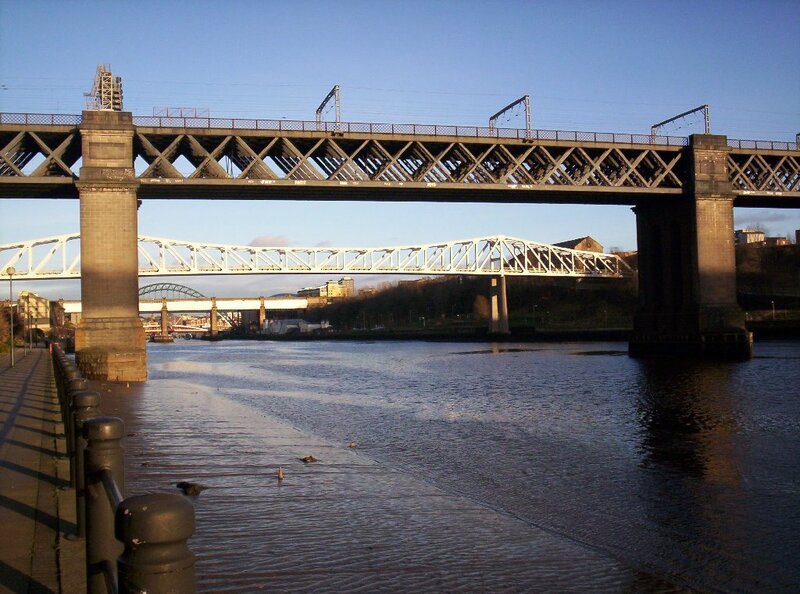 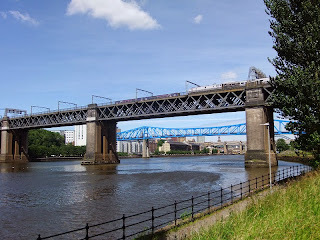 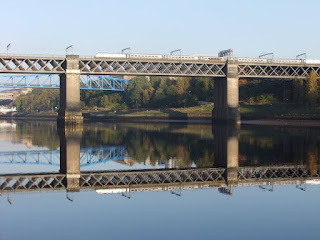 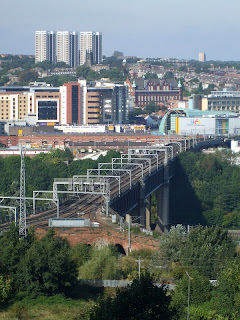 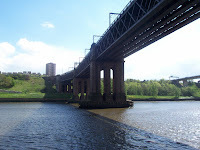 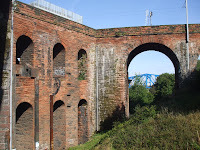 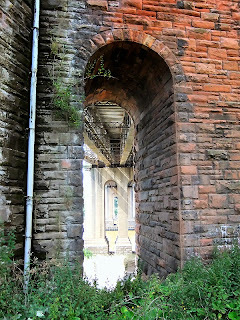 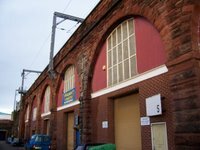 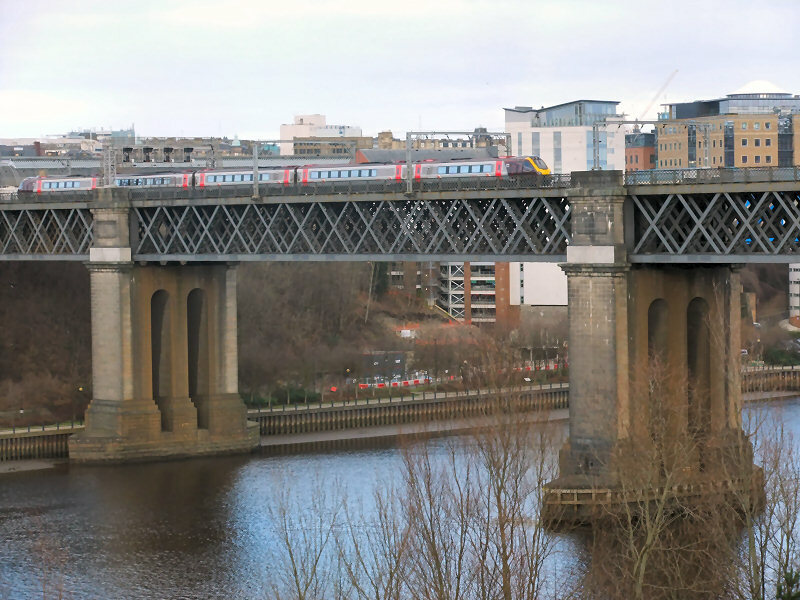 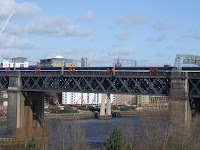 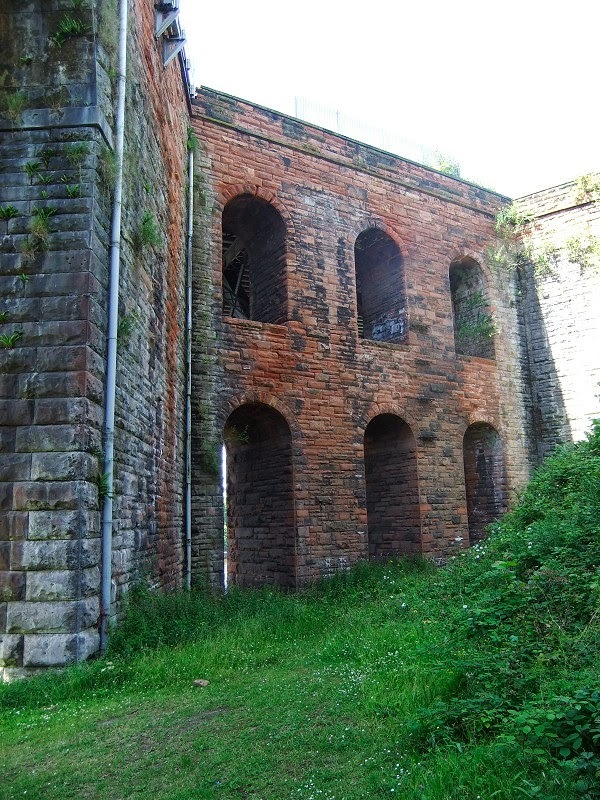 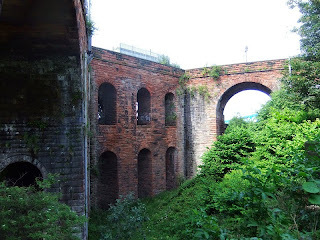 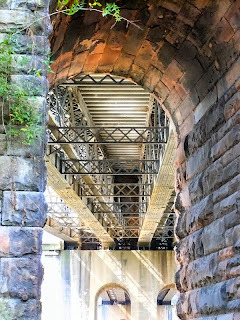 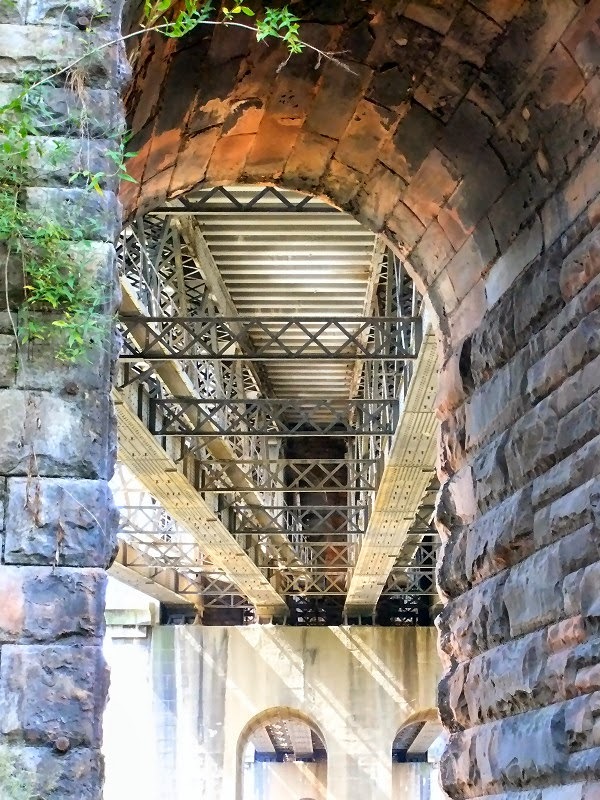 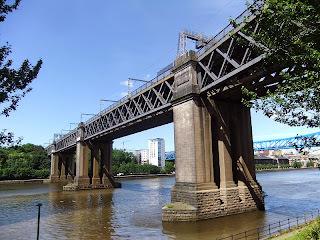 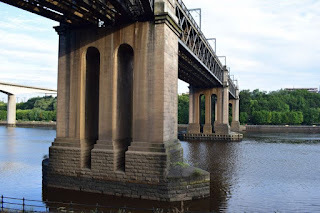 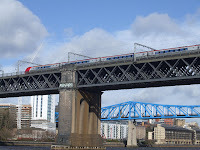 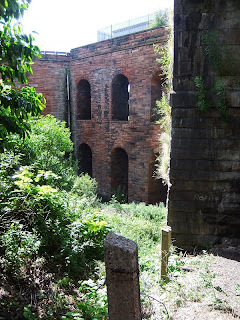 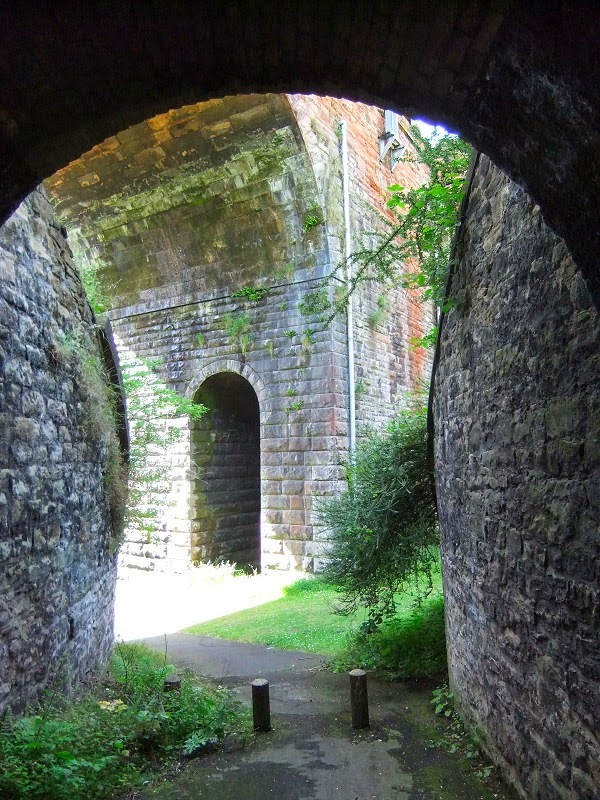 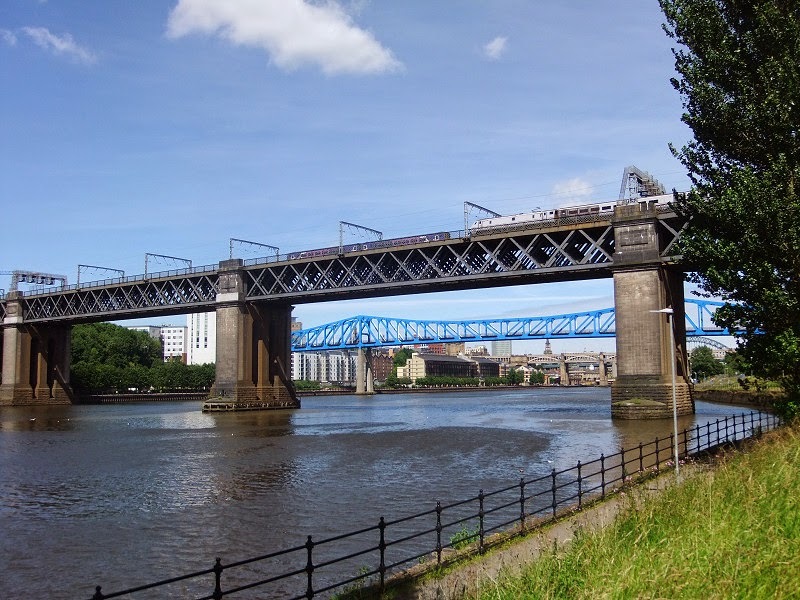 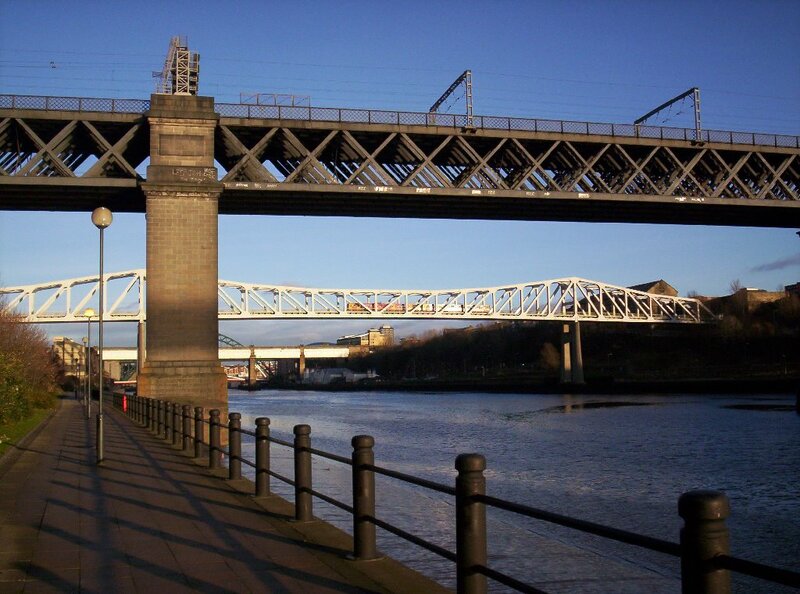 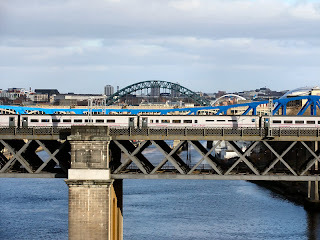 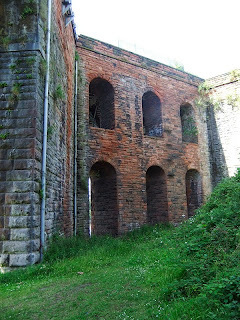 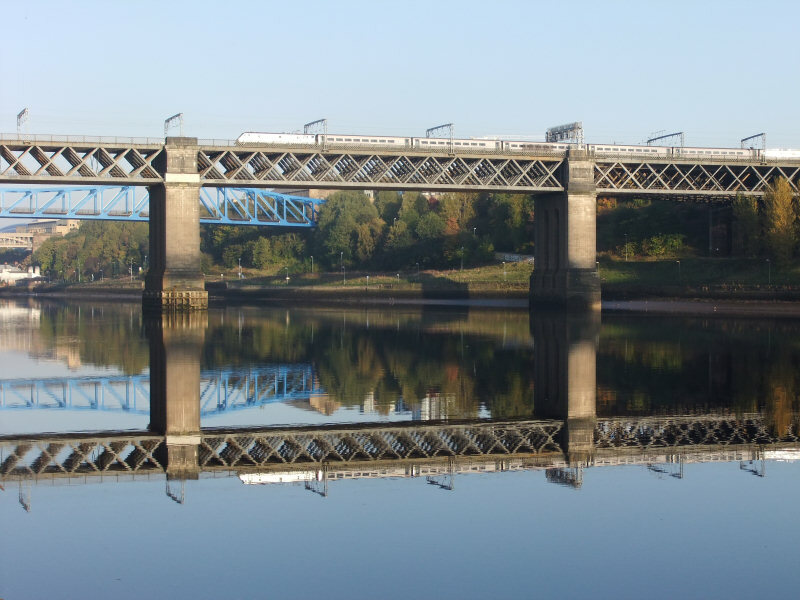 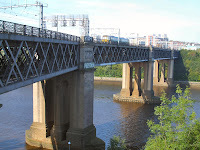 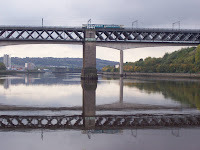 Originally trains used the High Level Bridge to reach Newcastle Central Station and had to leave the station in the same direction they had entered, which involved the tedious task of reversing. 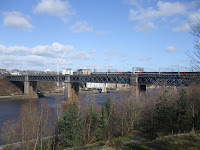 The construction of the King Edward VII Bridge provided four more rail tracks, and a direct line through the station enabling trains to enter or leave from either side and thus eased rail congestion. 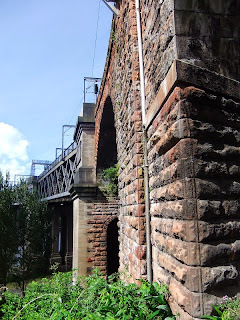 The bridge was opened by King Edward VII and Queen Alexandra on 10 July 1906. 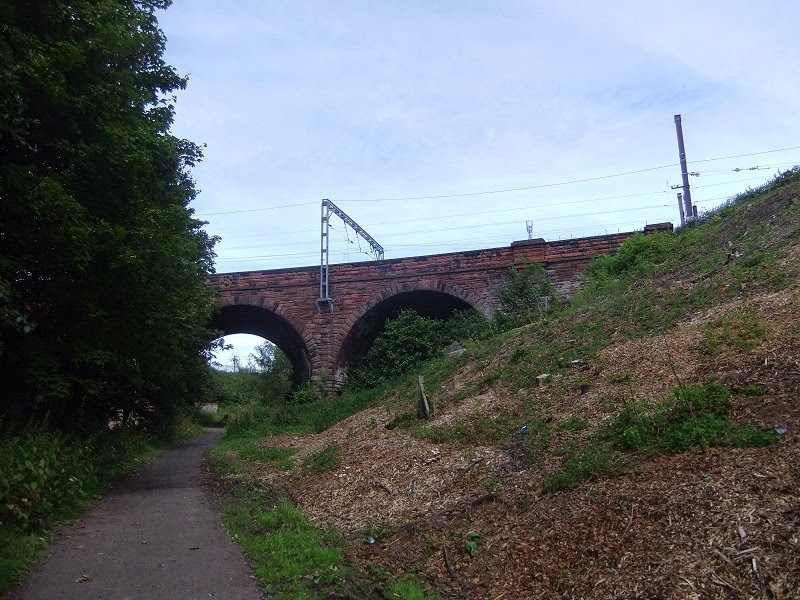 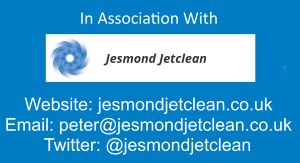 The total cost amounted to £500,000.